indefinite delivery/indefinite quantity (IDIQ) contracts for Emergency Preparedness Response and Recovery Services for all postal locations throughout the U.S. including Alaska, Hawaii, Puerto Rico, Guam, U.S. Virgin Islands, Northern Mariana Islands, and American Samoa on a national 24-hr, 7 d/wk basis throughout the year. The solicitation documents and proposal delivery for this procurement can be accessed only via registration at https://uspsprod.emptoris.com as described in the FedBizOpps notice. The contractor support services include emergency planning and identification of threat agents; natural and human-made disasters; environmental releases; containment of a threat agent; decontamination of facilities, property, and equipment; transportation and disposal of contaminated materials; laboratory and analytical support for identifying suspected threat agents; and environmental contaminants. On January 29th 2019, the U.S. Strategic Environmental Research and Development Program (SERDP) and the U.S. Environmental Security Technology Certification Program (ESTCP) released a solicitation for both small and large businesses to competitively fund research and development for environmental research. The Department of Defense (DoD) SERDP Office is interested in receiving white papers for research focusing in the areas of Environmental Restoration, Munitions Response, Resource Conservation and Resiliency, and Weapons Systems and Platforms technologies. The ESTCP Office is interested in receiving white papers for innovative technology demonstrations that address DoD environmental and installation energy requirements as candidates for funding. SERDP supports environmental research relevant to the management and mission of the DoD and supports efforts that lead to the development and application of innovative environmental technologies or methods that improve the environmental performance of DoD by improving outcomes, managing environmental risks, and/or reducing costs or time required to resolve environmental problems. Awardees under this Broad Agency Announcement (BAA) will be selected through a multi-stage review process. The white paper review step allows interested organizations to submit research white papers for Government consideration without incurring the expense of a full proposal. Based upon the white paper evaluation by SERDP, each of the white paper submitters will be notified as to whether SERDP requests or does not request the submission of a full proposal. As noted in the instructions located on the SERDP website, evaluation criteria for white papers are Technical Merit and SERDP Relevance. Instructions in the links below pertain to the submission of white papers responding to the SERDP BAA for Environmental Research and Development. This BAA is for Private Sector Organizations. White papers submitted must be in response to a topic listed in the instructions on this page. The United States Department of Defence (U.S. DoD) Rapid Innovation Fund facilitates the rapid insertion of innovative technologies into military systems or programs that meet critical national security needs. DoD seeks mature prototypes for final development, testing, evaluation, and integration. These opportunities are advertised under NAICS codes 541714 and 541715. Awardees may receive up to $3 million in funding and will have up to two years to perform the work. The two phases of source selection are (1) white paper submission and (2) invited proposal submission. The window of opportunity for submitting white papers expires on April 12, 2018 (due by 3:00 PM ET). Handheld automated post-blast explosive analysis device (USDR&E-18-BAA-RIF-RRTO-0001). Handheld automated detection and characterization of explosive residue collected on-scene after an explosion. Handheld networked radiation detection, indication and computation (RADIAC) (DTRA-17-BAA-RIF-0004). A lighter, more compact system for integration into CBBNE situational awareness software architecture of Mobile Field Kit and Tactical Assault Kit. 3-D scene data fusion for rapid radiation mapping/characterization (DTRA-17-BAA-RIF-0005). Immediate decontamination (CBD-18-BAA-RIF-0001). A spray-on decontaminant that can be applied in a single step in ~15 minutes on hardened military equipment. Hyperspectral aerial cueing for chemical, biological, radiological, nuclear and explosive (CBRNE) mobile operations (PACOM-18-BAA-RIF-0001). Real-time detection via drone. Mobile automated object identification and text translation for lab equipment (DTRA-17-BAA-RIF-0003). A tool to help users recognize equipment, chemicals, and potentially hazardous material in real time. 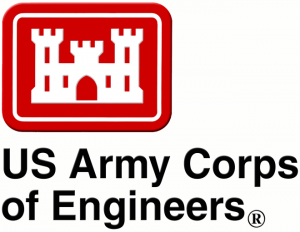 Environmental Opportunity for Women-owned Small Business Firms in the U.S.
http://hazmatmag.com/wp-content/uploads/2017/10/US-Army-Corp-of-Engineers.png 511 660 John Nicholson http://hazmatmag.com/wp-content/uploads/2017/01/hazmat-logo.jpg John Nicholson2017-10-15 21:47:072017-10-16 23:13:27Environmental Opportunity for Women-owned Small Business Firms in the U.S.